Barcelona-based newspaper Mundo Deportivo writes that Jose Mourinho wants to sign Zlatan Ibrahimovic to Chelsea. The article says that the striker is one of Mourinho’s most wanted transfers but it refers only to “information in England” without reference to any magazines. Mourinho coached Ibrahimovic in Inter before Zlatan Ibrahimovic left for Barcelona. Under Mourinho’s time at Real Madrid Mundo Deportivo also stated that the Portuguese tried to enlist Zlatan Ibrahimovic to the Spanish capital club. 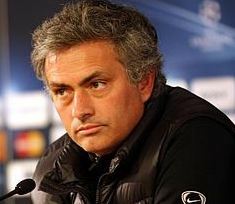 There have also been rumors that Fernando Torres and Juan Mata may be leaving Chelsea when Mourinho joins. Torres leaving Chelsea would be a big opening for Zlatan Ibrahimovic to Chelsea. The Express has also reported that Jose Mourinho holds Zlatan Ibrahimovic in high regard and could be tempted to splash some heavy cash in an effort to bolster his front line. A purchase of Zlatan Ibrahimovic to Chelsea from PSG is not likely to be cheap and would make it necessary with other changes in the Chelsea squad. The one that mostly has been mentionedis the removal of Fernando Torres from the Chelsea squad. This entry was posted in Transfer Rumors and tagged chelsea, Fernando Torres, Ibrahimovic Chelsea, Inter, Jose Mourinho, Juan Mata, Mourinho, Real Madrid, Zlatan Chelsea, Zlatan Ibrahimovic to Chelsea on June 6, 2013 by Johan Bengtsson. Zlatan and Cavani, a good combination? Edinson Cavani to PSG, Zlatan leaves?